I managed to get AppEngine library imported but all methods are showed with warnings (see screenshot). Although CTRL+B does work and navigates to appengine classes (e.g. memcache or webapp.RequestHandler). Any idea if/when parsing method definition will be supported. You can vote for it to get notified when this problem is resolved. 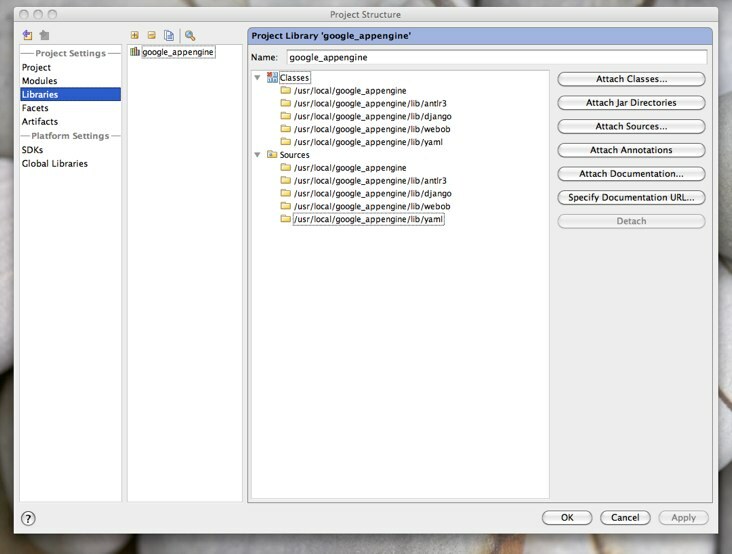 Although CTRL+B does work and navigates to appengine classes (e.g.